BLOOM Gin are celebrating World Gin Day in Seven Dials this year with a special 'pick your own' strawberries event, where you can also buy a special gin & strawberry cocktail. Yum! 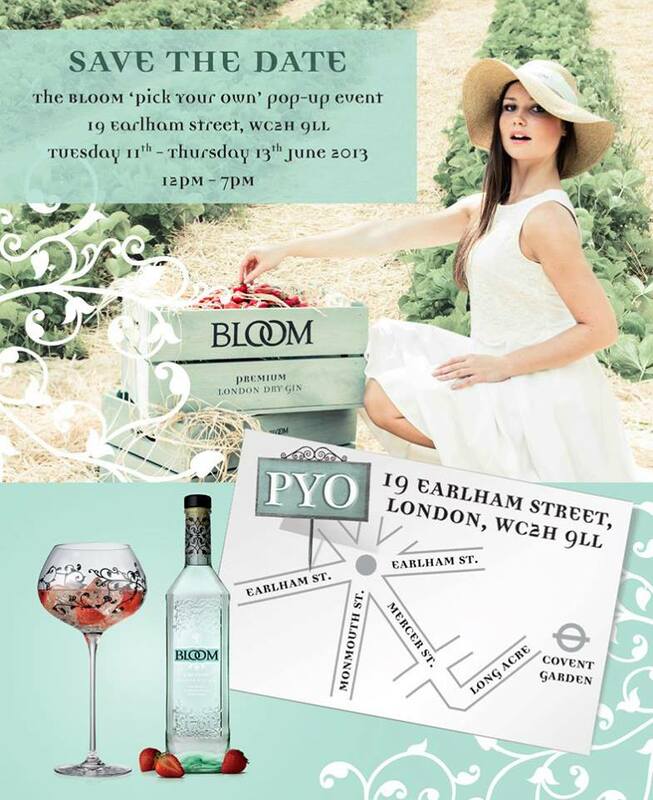 "Amidst the bustle of Central London, BLOOM London Dry Gin will be bringing a sense of calm for 3 days of strawberry picking in Covent Garden. On Tuesday 11 June - Thursday 13 June (12pm – 7pm) the public can pick from rows of strawberries before enjoying a BLOOM Gin and Tonic with strawberries made by a professional bartender for £6.50. BLOOM London Dry Gin will be celebrating World Gin Day's fifth year which will fall on Saturday 15 June."